A Rose by any other name might cut as sweet. 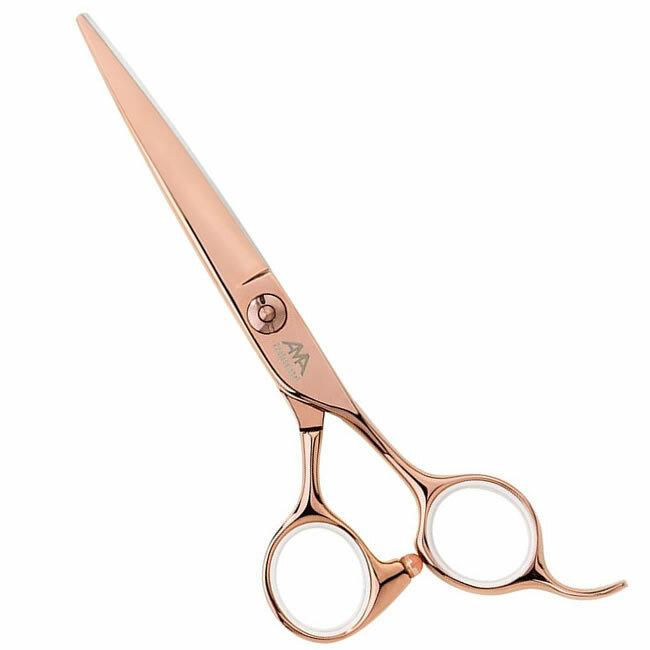 If you like to let your cutting do the talking but want scissors a little more colourful than silver, then the Ama Rose Gold is for you. The understated elegance of its titanium nitride coating not only looks gorgeous, but also helps to protect your fingers from nickel allergy. But the Rose Gold is not just about looks. It's German-made with all of the precision detailing you'd expect such as sharp, powerful blades made from stainless steel and short, offset handles. The shorter handles help to deliver more power to the tips of the blades for ultra-precise cutting with less fatigue. Their offset shape means that your hand adopts a natural, comfortable position, which helps to reduce strain, while the forged finger rest gives extra support while you cut. The flat screw system means that there's nothing to snag in your clients' hair while you cut and allows easy adjustment of the scissor tension so you can set up your scissors just the way you like them. 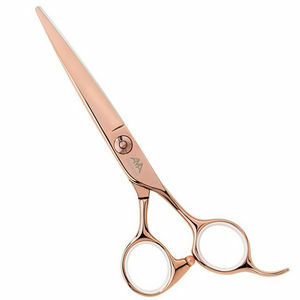 The Ama Rose Gold comes in 5.5 or 6 inches. £99.60 (inc. VAT) Why no VAT? We're a trade wholesaler and quote our prices without VAT to help our VAT-registered customers understand the true cost of a purchase.